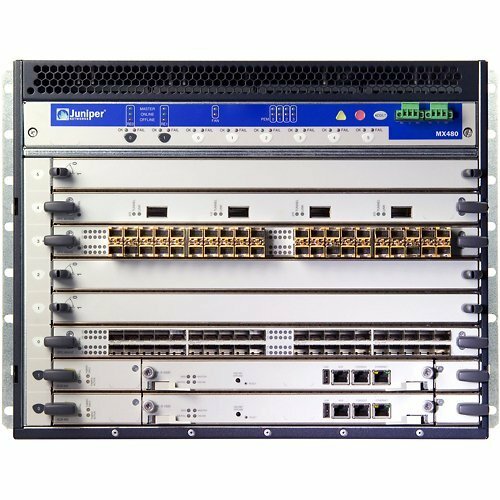 The MX480 3D Universal Edge Router is an Ethernet-optimized edge router that provides both switching and carrier-class Ethernet routing. 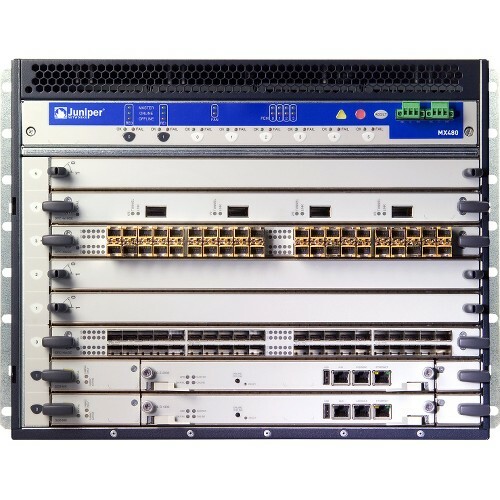 The MX480 router has a capacity of up to 720 gigabits per second (Gbps), full duplex. 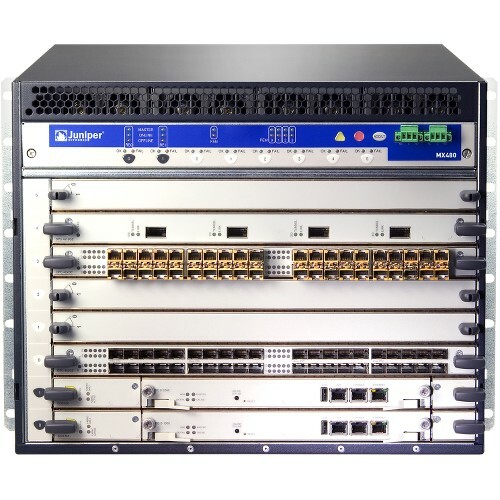 The MX480 router enables a wide range of business and residential applications and services, including high-speed transport and VPN services, next-generation broadband multiplay services, and high-volume Internet data center internetworking. The MX480 chassis provides redundancy and resiliency. The hardware system is fully redundant, including power supplies, Routing Engines, and Switch Control Boards (SCBs).